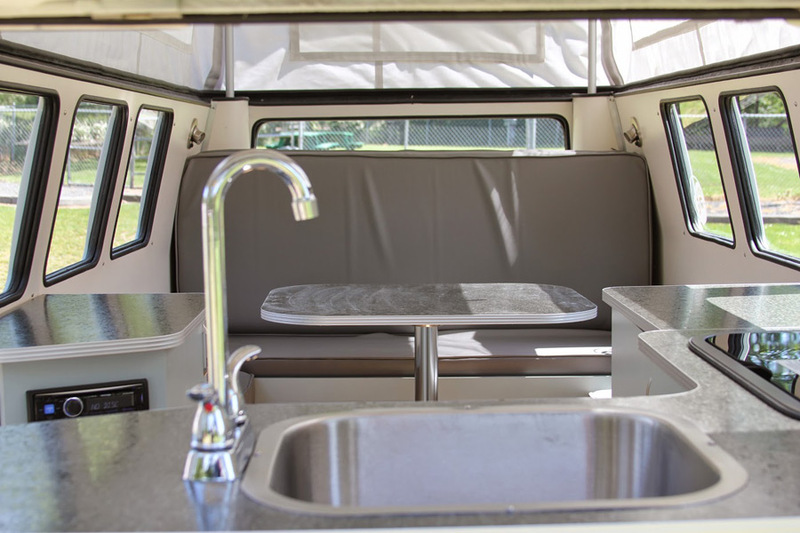 A modern fiberglass camper designed to look like a vintage VW Bus. Photos by Shane Medbery. Designed by Dub Box USA. Brilliant. The volks at VW would approve. 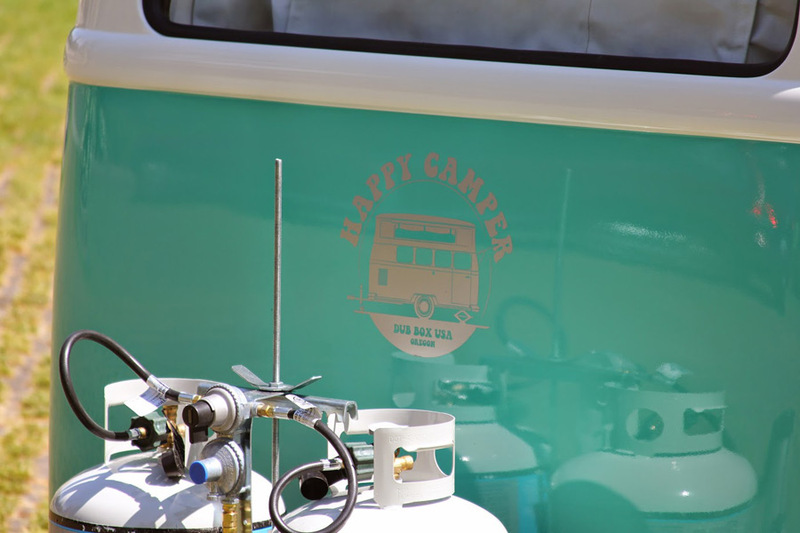 Very cute camper. 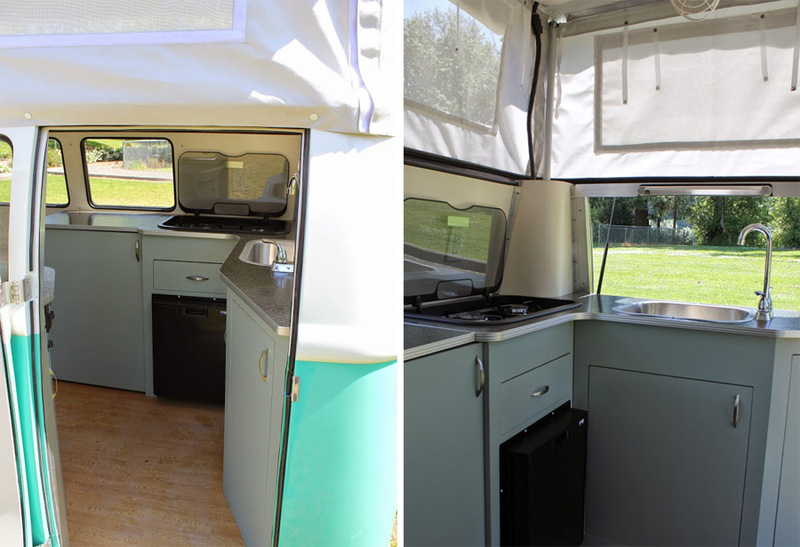 Could be a home if you have a bathroom, food storage and water storage next to wherever you’re parked. 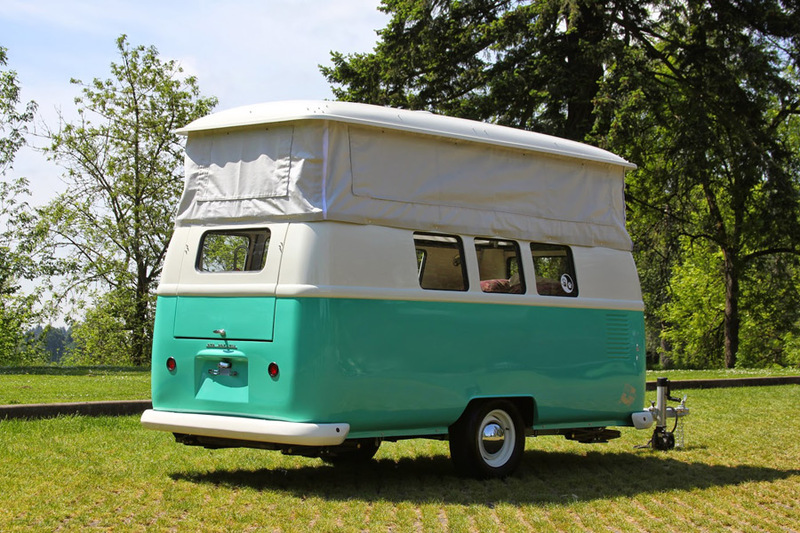 Oh, I was a little disappointed this wasn’t an up cycle of an old VW van, but it’s still cute! 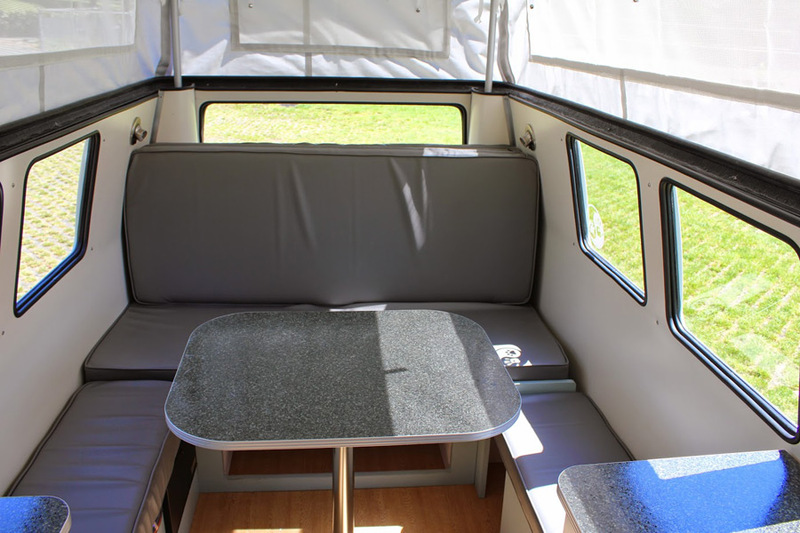 I think I’d opt for a tilt up roof like the VW camper vans use now just to complete the effect! 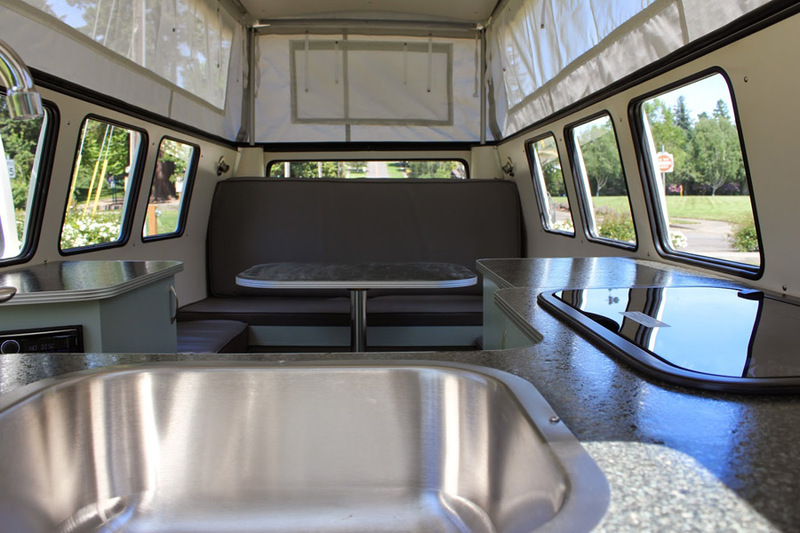 Doesn’t it say its a fiberglass camper made to LOOK like a classic VW bus? 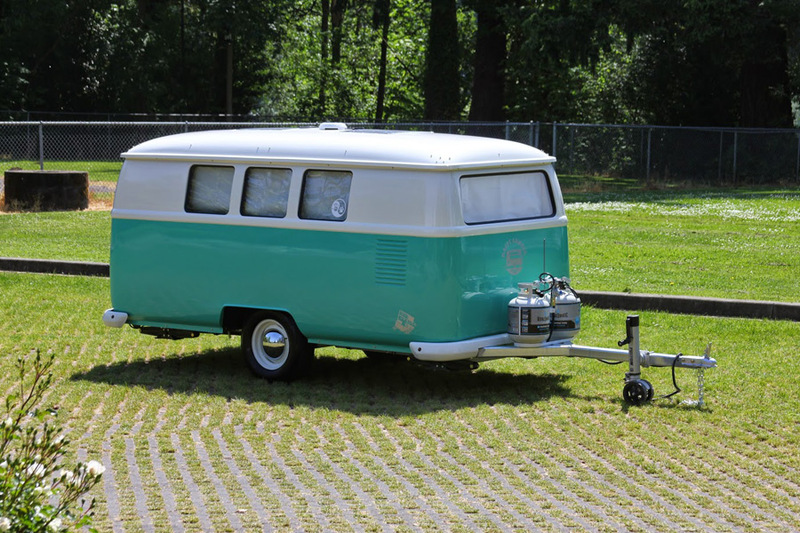 Its not an actual VW bus made into a trailer… tho that would be very cool also. Single axle??? Isn’t that kinda unstable for walking around in? There are 4 stabilizers/levelers, 1 at each corner. These are lowered when in use. Love it just the way it is!! Besides they can’t make it exactly like VW cause otherwise they would come after them!